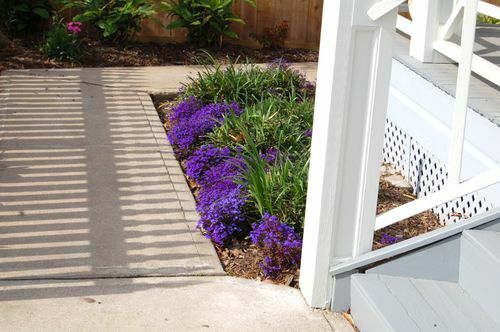 These brilliant blue lobelia lined the walk along the picket-fence-lined walkways. Purple irises and red geraniums were in bloom as well. All were harbingers of a beautiful spring to come.